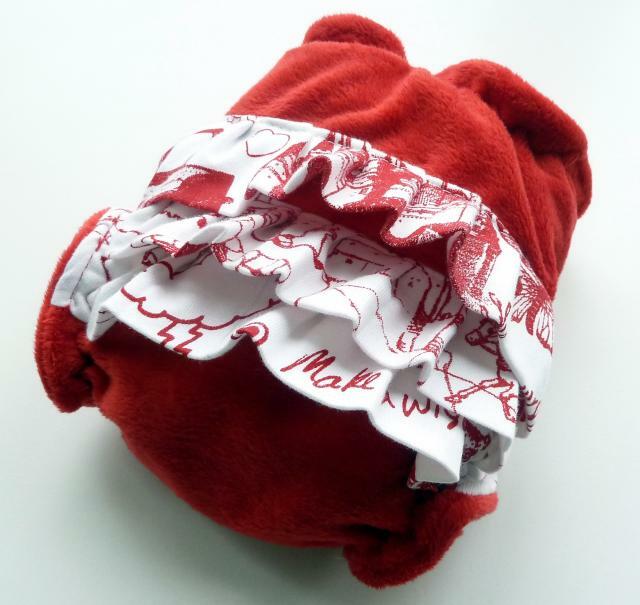 Made from red minky with cotton front and ruffles, with 2 snap in soakers. Hurry - these are limited edition! What size are these and are they pocket or AIO??? ?